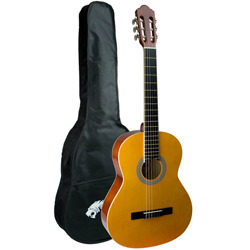 We have a huge range of Classical Guitars for sale, a range for all ages, offering superb quality at affordable prices. 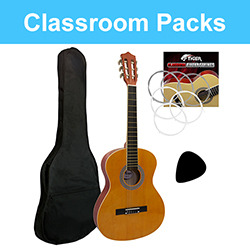 Our beginners packs are available in a wide range of sizes and colours, and include leading brands such as Jose Ferrer, Encore and Martin Smith, whilst we also cater for the accomplished and gigging musician, with some beautiful guitars by the likes of Admira, Manuel Rodriguez, and Santos Martinez. 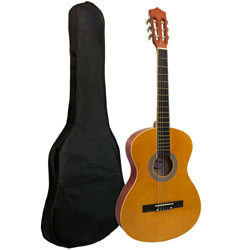 For information on buying the correct sized guitar see our Guitar Size Guide.